bunyavirus, phlebovirus, nairovirus, tospovirus, and hantavirus. Ecology: The majority of the bunyaviridae family is transmitted by arthropods such as ticks, mosquitoes, and sand flies. However, the Sin Nombre virus, and hantaviruses in general, are harbored in rodent populations that frequently come into contact with people. These species include the deer mouse, the white-footed mouse, the rice rat, and the cotton rat2. 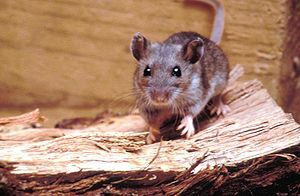 The outbreak of Sin Nombre in Yosemite is due to virus transmitted in the feces, nesting materials, and urine of the deer mouse, a native species in that part of California. Sin Nombre virus (SNV) was first isolated from rodents in the Four Corners region of the Southwest United States in 1993 after an outbreak of 31 human cases of an unknown disease in that area. 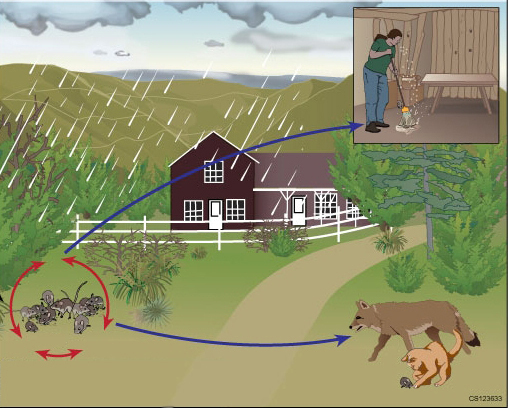 Since 1993 there have been a total of 587 reported cases of hantavirus pulmonary syndrome in the United States3. Transmission: The most common way of acquiring this disease is by inhaling air contaminated with particulates derived from these materials. This most commonly occurs when empty human dwellings are taken over by mice and then subsequently cleaned at a later date, thereby aerosolizing these materials where they can then be inhaled. It is also possible to contract this disease after handling any of these contaminated materials and then touching your eyes, mouth, or nose. Live rodents also pose a hazard, as bites are capable of transmitting the disease through contact with saliva. Disease & Symptoms: Sin Nombre virus is capable for causing hantavirus pulmonary syndrome (HPS) a potentially fatal infection of the lungs. While the exact duration of the incubation time is unknown, the current information suggests that the disease will manifest anywhere from one to five weeks after exposure. Initial symptoms include fever, fatigue, and myalgia in the large muscle groups such as the thighs. Less common symptoms also include headache, dizziness, nausea, vomiting, diarrhea, and abdominal pain4. After the initial phase of this disease symptoms can progress to coughing and shortness of breath due to an accumulation of fluid in the lungs. This form of the disease can be and is fatal as this recent outbreak has demonstrated too well. Current available CDC data states that the mortality rate is 38%4 and the fatality rate of this outbreak it is 37.8%. This is a significant fatality rate and therefore all precautions must be taken to prevent the contraction of this disease. Treatment: There currently is no available vaccine or approved specific therapy for Sin Nombre or hantavirus infection. Treatment is limited to supportive care and analgesics. Prevention: To protect yourself from contracting this disease it is important minimize any contact with these contaminated materials and infected animals. If there is the potential to come into contact with infected materials take the time to protect yourself with devices such as a respirator and gloves. A solution of 10% bleach is sufficient to disinfect potentially contaminated materials and should be used in conjunction with protective equipment when cleaning up after mice and rats. For further information on how to safely clean spaces infested with mice or rats please see the CDC brochure Facts About Hantaviruses. and would just like to say thanks a lot for a fantastic post and a all round exciting blog (I also love the theme/design), I don’t have time to read it all at the minute but I have book-marked it and also added in your RSS feeds, so when I have time I will be back to read a great deal more, Please do keep up the excellent work.